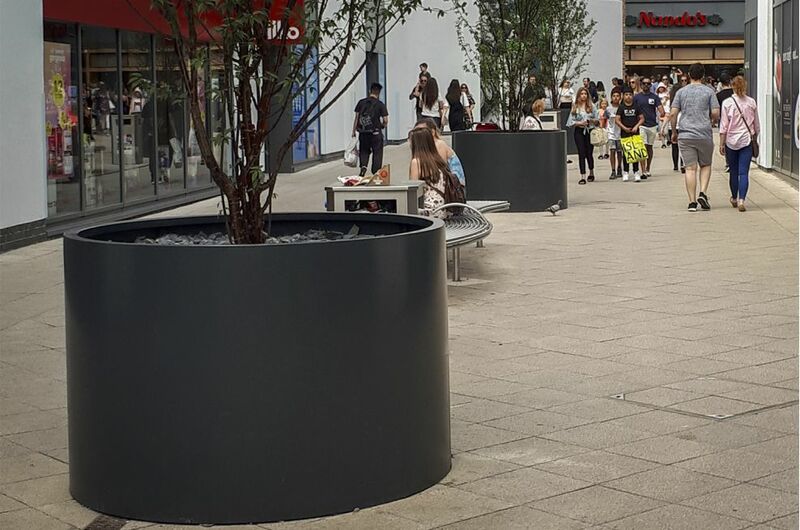 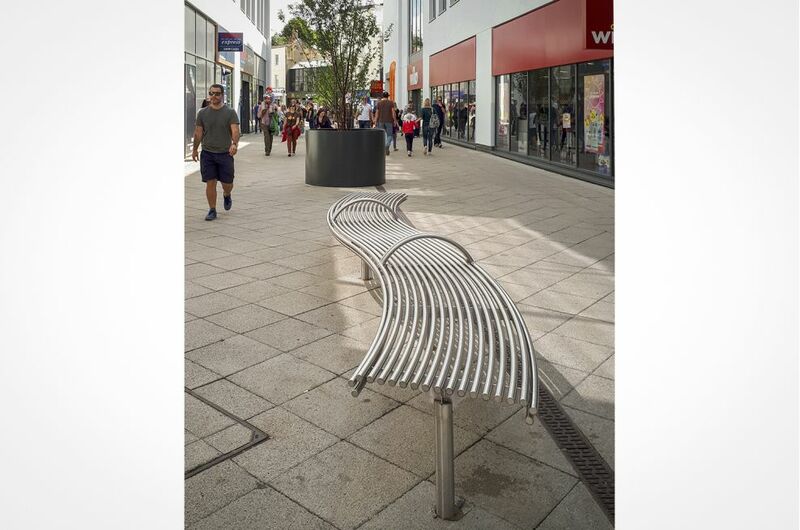 The planters were manufactured from 3.0mm thick Aluminium, with a Polyester Powder Coated [PPC] finish to RAL 7016 [Anthracite grey]. 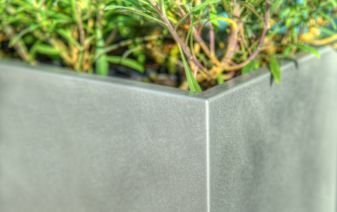 The planters were cylindrical in shape, Dia. 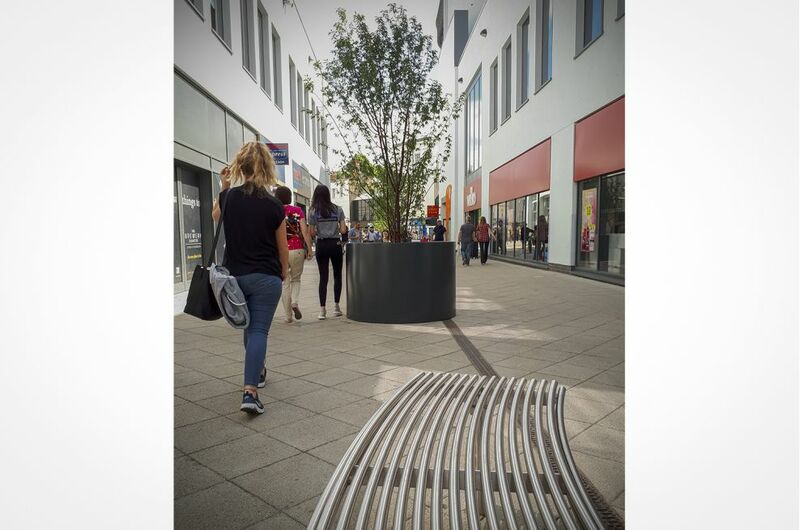 1500 x H 1000mm, and including tree root ball attachment points. 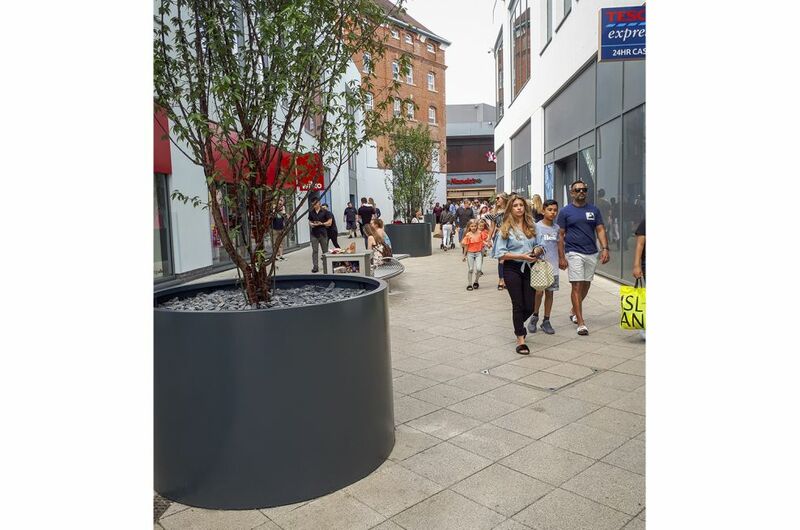 The planters are planted to great effect, for year-round interest, with multi-stem Prunus serrula Tibetica [Tibetan Cherry]. 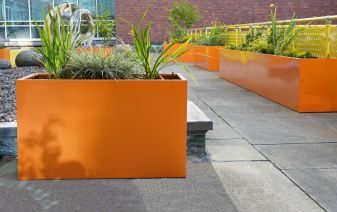 Powder Coated Aluminium is more expensive than Powder Coated Steel, but Aluminium will not corrode if the surface paint finish is scratched through to bare metal. 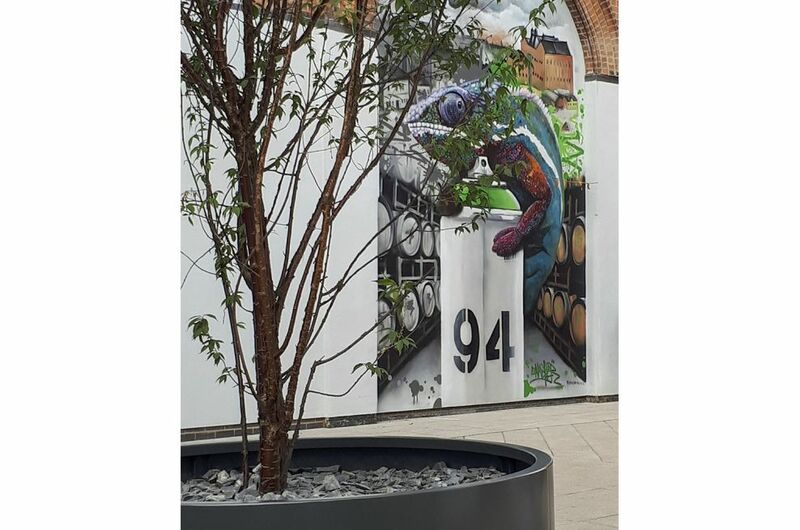 Thus, for heavily-trafficked areas, such as The Brewery, the additional cost of Aluminium can be justified, if a long Design Life Performance is desired. 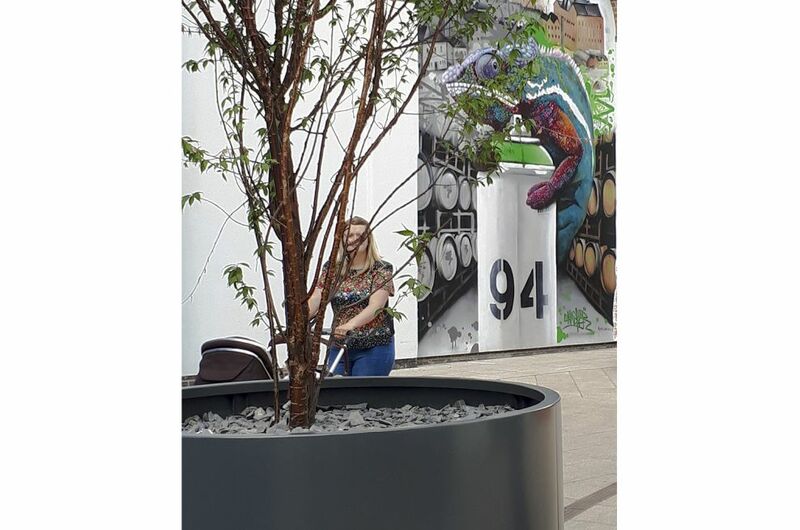 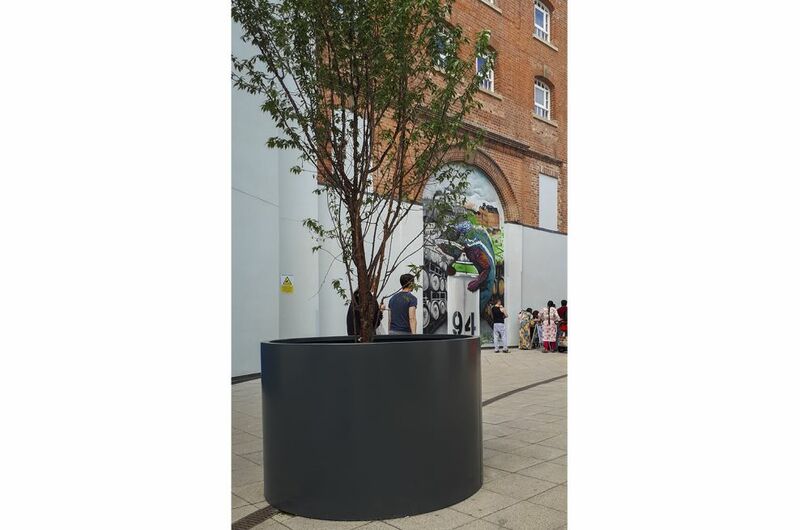 IOTA’s planters were commissioned by the Management Company for The Brewery Quarter, on behalf of landlords NFU Mutual Insurance Society. 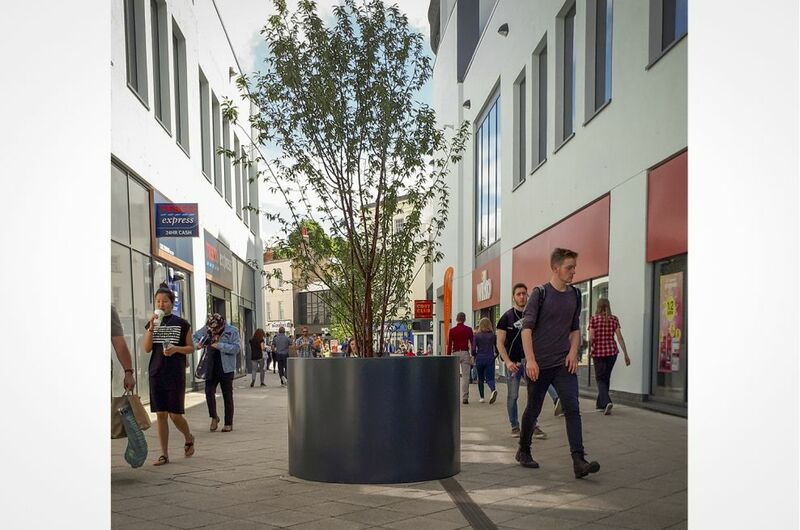 The Brewery Quarter is an established regional leisure destination, located in the heart of Cheltenham town centre, and including multi-screen cinemas, a bowling centre, health and fitness facilities, bars and restaurants. 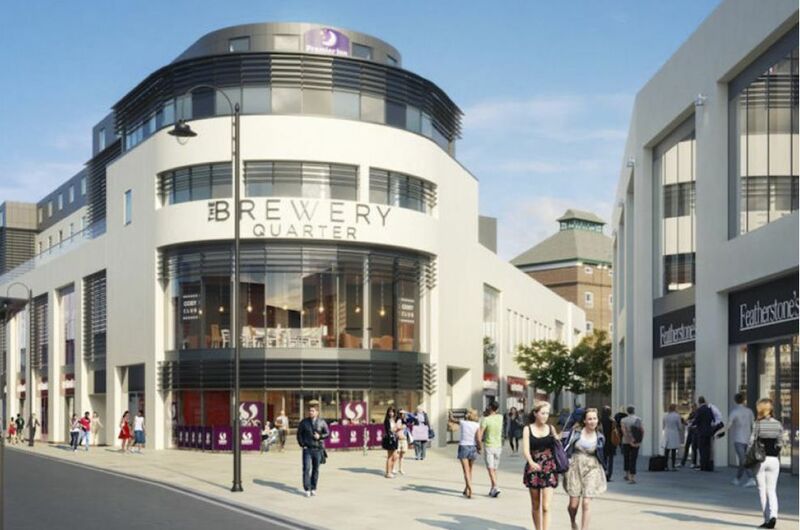 In 2017, the Brewery Quarter was transformed with a £30m retail-led expansion, adding an additional 100,000 sq. 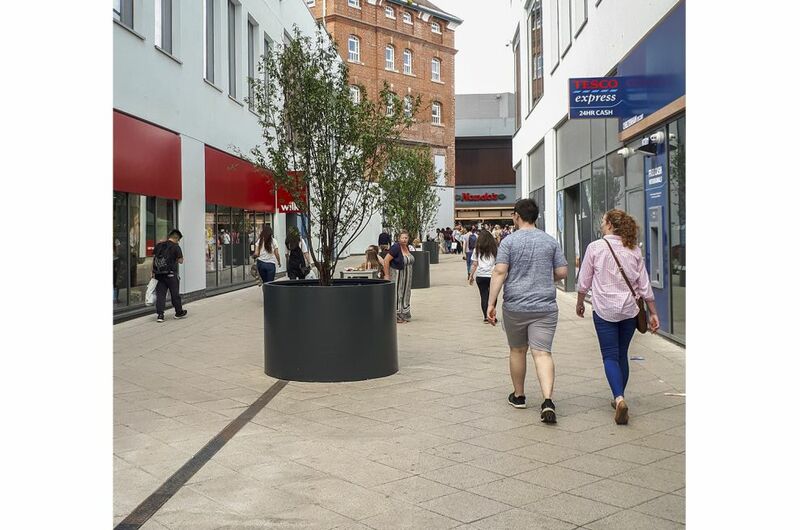 ft. of prime retail space, a £6m 104 bedroom Premier Inn and 34 modern town centre apartments. 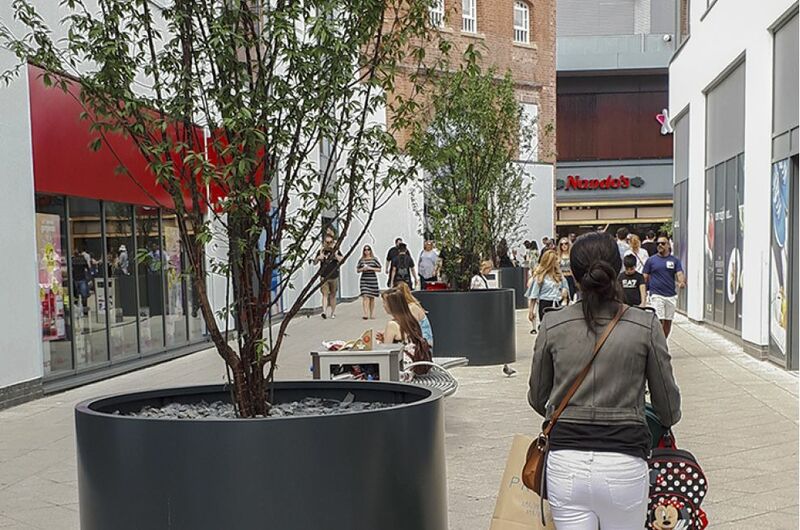 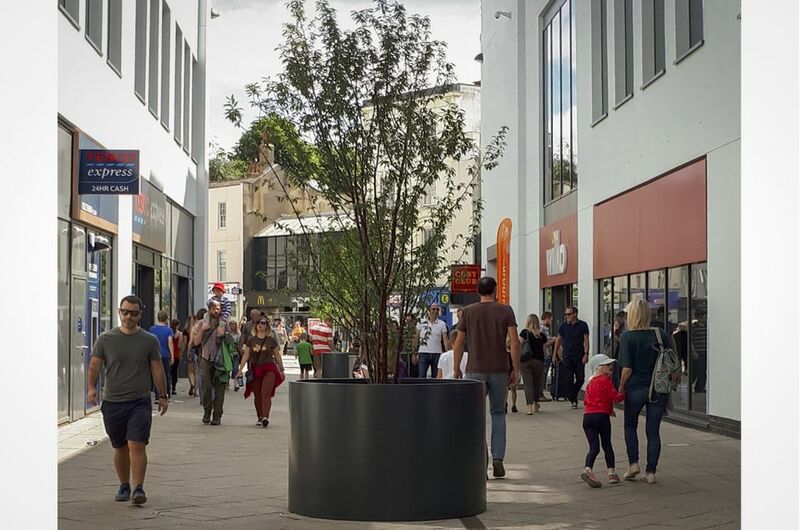 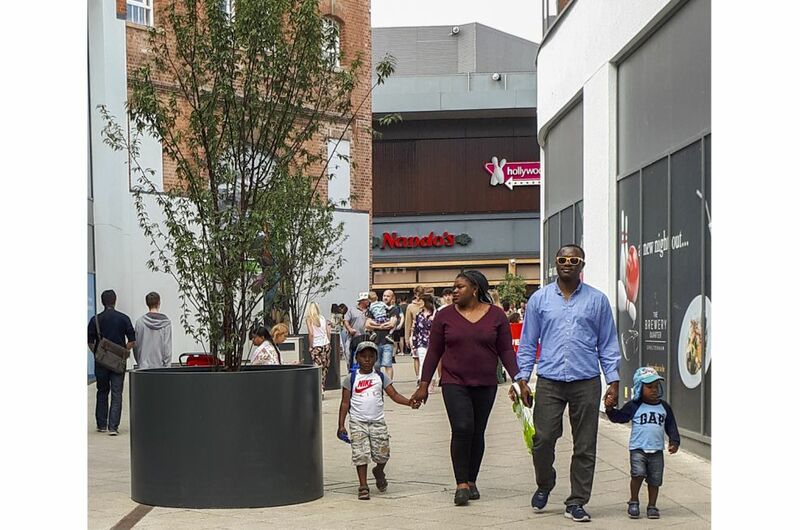 The pedestrian link through to the High Street forms the backbone to the new development, and is where IOTA’s planters are located.